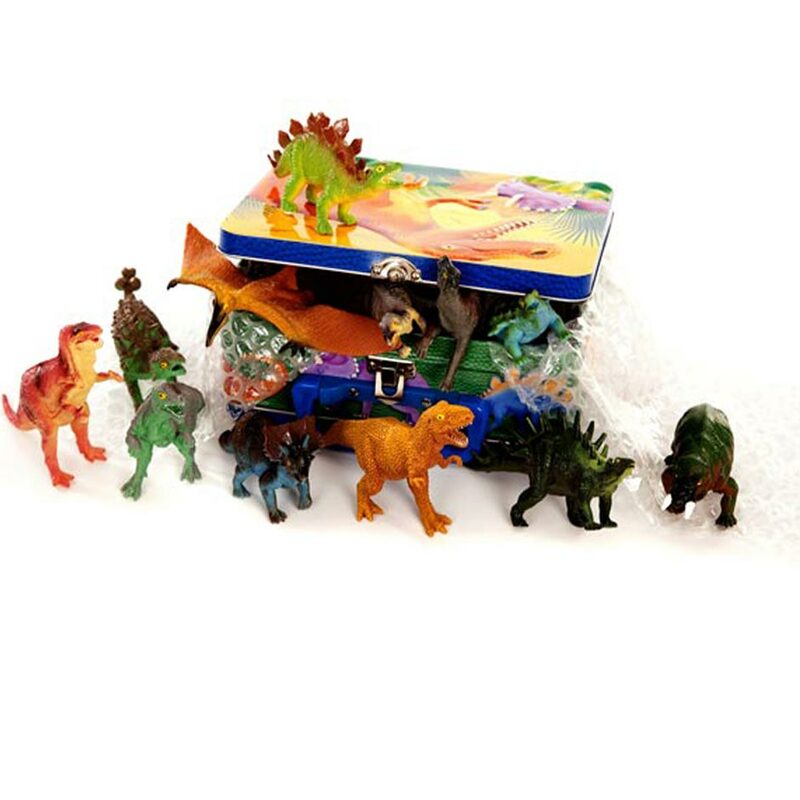 A dozen dinosaurs and prehistoric animals packed into a handy dinosaur themed metal storage tin. 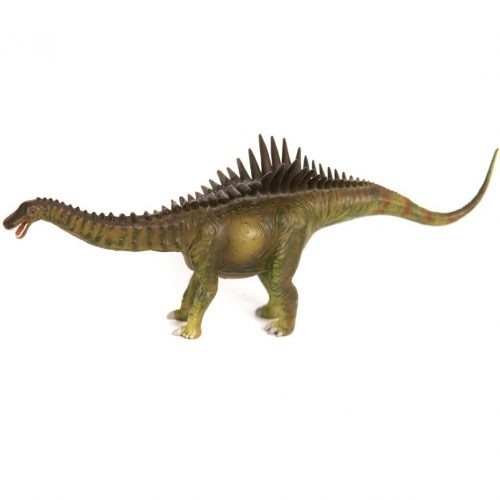 Sturdy and robust models ideal for creative play, a super dinosaur toy with metal storage tin. 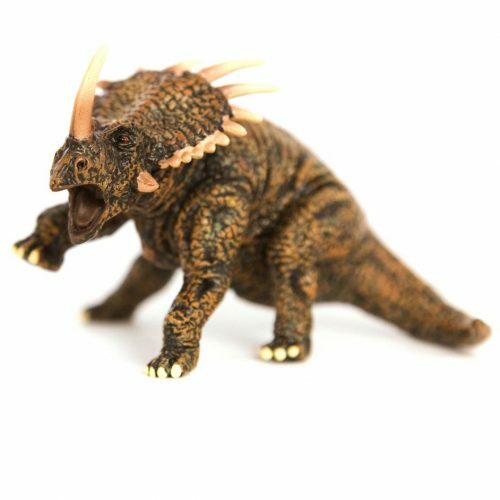 Create your own dinosaur park with a dinosaur toy, great for creative and imaginative play. A tin box full of colourful assorted dinosaurs and prehistoric animals. Ideal for creative and imaginative play, storage box comes with carrier handle so young dinosaur fans can have a mobile Jurassic Park! 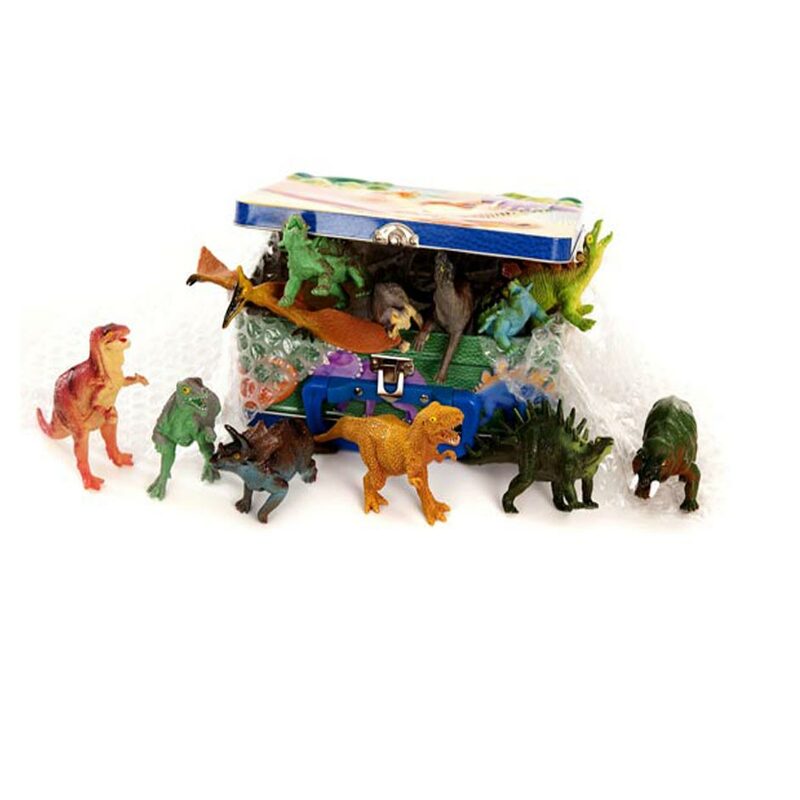 Each box contains 12 different prehistoric animal models and toy dinosaurs, ideal for creative play. Arrived in two days. Lovely product. The ideal present for dinosaur mad grandson. I just wanted to say thanks for the excellent service! I couldn’t believe how quickly the parcel arrived and I know my nephew will love his gift. I am delighted with this purchase. The dinosaurs are a good size and the colourful tin is a great way to keep them together.My little granddaughter will think it’s a great idea to carry the tin and to tidy them away at bedtime. The service I received with the purchase was perfect. A very prompt despatch and delivery. I purchased this product – very happy! I have just received the dinosaur set! Really fast delivery (to Greece). A group of 12 quality dinosaur models in a colourful tin case! The set is super adorable! Congratulations for your great products and service. Thank you! Super speedy delivery and products at a fair price – many thanks. Super fast delivery on a last minute purchase (considering it was Christmas week). My dinosaur mad son (aged 5) was very impressed as was I – thank you. First class service. I was delighted with this product and the speed of delivery – thank you. The best present I have ever brought my son! He takes it EVERYWHERE! Thank you! I found your website fantastic and I’m sure I will be looking again for Christmas presents. I ordered this dinosaurs in a tin and I’m very happy with it. I can’t wait to give it to my nephew. The product was very well received by my 6year old grandson. Very colourful and value for money. The service was friendly and fast. Thanks Mike. 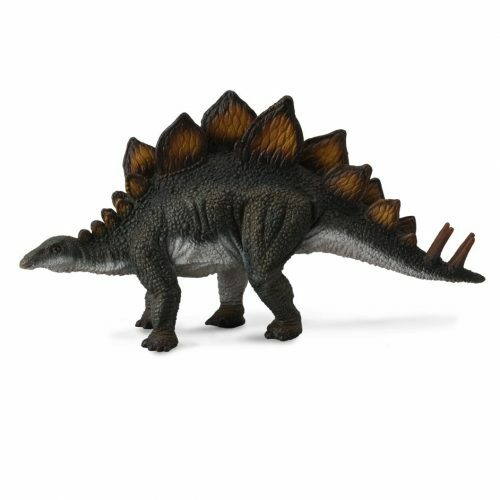 this is a great product and a really lovely tin, but the service is even better, it came so quickly , really well wrapped and the staff made sure i had some dinosaurs that i had particulary asked for and they also helped me by sending a list of the dinosaurs and how to pronounce them – very impressed! Fantastic, friendly service and a super dinosaur set of models, the staff went out of their way to make sure I had 12 different models in the set.